The human tendency to take extreme measures to avoid loss leads to some behaviours that can inhibit investing success. Behavioural finance suggests investors are more sensitive to loss than to risk and potential return. This means that investors sometimes hold on to losing investments hoping they will recover their losses while quickly selling winners to realise a gain. As a result, investors’ ‘risk profile’ changed depending on whether they are facing a loss or a profit. When markets are going up, they become aggressive investor and when markets crash, the same set of investor does a complete U-turn and becomes risk averse. In practice, most of us have the tendency to sell winning investments and hang on to losing investments resulting in negative impact on investing returns. This is very advisors can help you take objective decision and evaluate whether it still makes sense to hold the loss making investment or get rid of them. The problem of inertia: Inertia means that people fail to get going to taking action, even on things they want or have agreed to do. Inertia can act as a big barrier to effective financial planning, stopping people from saving or making necessary changes to their investments. The main cause of inertia is the confusion or uncertainty which can lead investors to choose the path of “least resistance” Most investor would resort to “wait and watch” realizing later that they have missed out on great opportunity because of inertia. Mental Shortcuts: Most people use ‘mental short cuts’ or take very ‘narrow’ views of their investments. This can have a negative impact on investment decisions. We tend to emphasize a lot at the individual investment rather than looking holistically at the portfolio level. Not all investments will perform in a similar manner. Avoiding this bias can help investors to accept short-term losses in individual securities in the pursuit of their long-term financial goal. Mental Accounting: We often separate our money and financial risk into ‘mental accounts’ – putting our wealth into various ‘buckets’ and we often base these pools on a specific goals or time horizon (such as ‘retirement’, ‘school fees’ or ‘holiday homes’). We think very differently about each mental account, investing some in risky assets for gain while treating others more conservatively. This can cause us to focus on the individual buckets rather than thinking broadly, in terms of our entire wealth position. For eg – everybody relates to their retirement corpus to a safe kitty to help them live their golden years and hence the only instrument which most people think is PPF / EPF. They don’t want to take any risk with their retirement fund and hence don’t even consider investing in equity even if it is for distant future (20-30 years). Using Investing shortcuts: Most investors simply go by the simplistic “Rule of Thumb” when they structure their investments. This results into putting equal amount of money in wide varieties of investments ignoring the risk-return profile of individual investments and the relationships between them. This can result into over diversification. Most of the times I have seen investor’s portfolios having 50-60 investments in wide variety of funds not knowing what purpose each serves. This may not help investor achieve his financial goals. Investing in familiar instruments: People tend to like to invest in things that are familiar. They associate investments that they know about with low risk. For ex – Pilots who have recd ESOPs from their Airline companies tend to hold these investments thinking that they know their company well and hence they could make huge returns if they hold these stocks. During economic downturn, they face double whammy, They risk losing their jobs and the value of their company stock also see massive erosion. In another example, investors in India might tend to prefer to invest in Indian companies. The danger with this approach is that your portfolio may not be diverse enough to help offset falls in any one type of investment or market. And with last 5 years performance, investors have really lost lot of money in their home markets. We’ve discussed a range of deep-seated human behaviours, which tend to detract investors from investment success. With this knowledge you should be better prepared to deal with these biases when constructing a long-term investment plan with a better chance of meeting your investment goals. 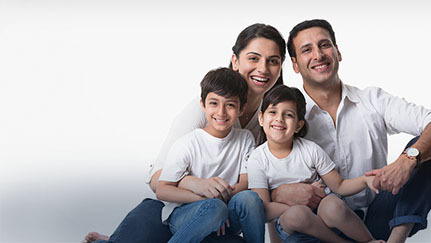 If you would like to view our range of life insurance investment policies, please click here.